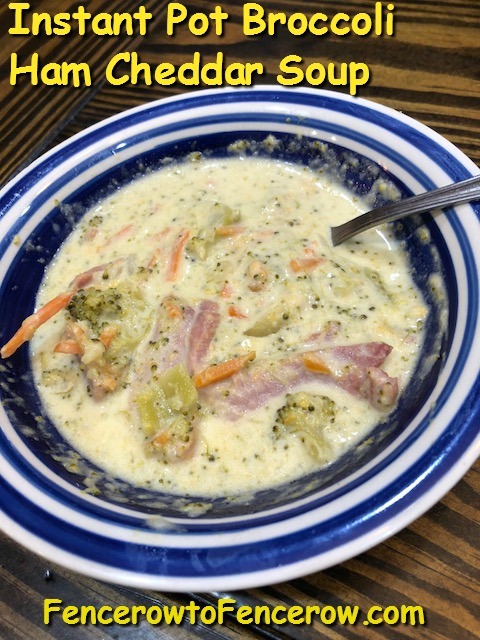 Broccoli and Cheddar Soup is one of my favorite soups of all time. It’s full of yummy cheesy goodness that I love but I feel like I’m eating a bit better since there is broccoli in there too! With Easter on the horizon, and ham on our Easter menu, I’m already thinking about how to use the leftover ham we will have. As a 4th generation hog farmer, ham is always on our families Easter menu. And there is great selection at my grocery store. Ham is a great buy around Easter. 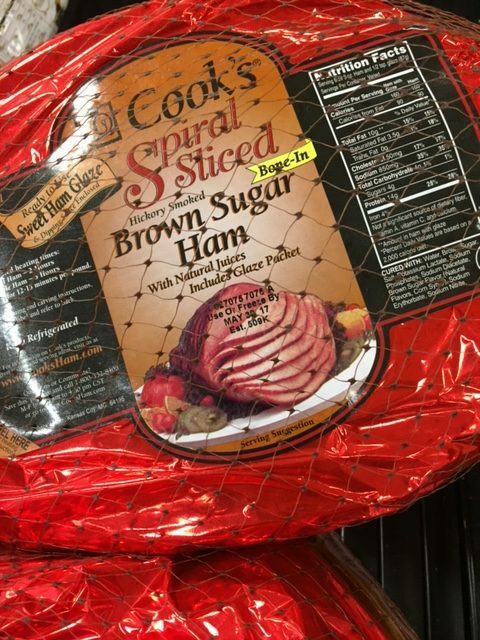 I like to buy a spiral sliced ham. I usually don’t use the sauce packet that is included. I like to make my own sauce to baste the ham! 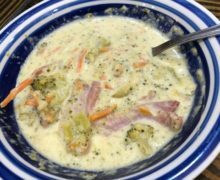 In this case, the leftover ham is going in my Broccoli Ham Cheddar Soup being made in my Instant Pot! 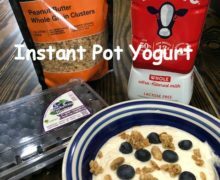 If you’ve seen my last few recipes, it’s all been Instant Pot creations! And they are filling soups, comfort food, and better than anything I can buy in a restaurant. How does your family use leftover Easter ham? 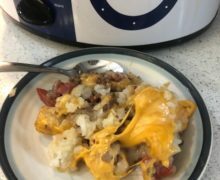 Try this soup and let me know what you think! An easy, comforting soup that can be made in minutes! Place chopped broccoli, ham, onion, chicken broth and carrots in the Instant Pot. Place on Manual high pressure for 15 minutes. Make sure the valve is turned to sealed. Stir in cheese until melted. Add hot sauce as desired.